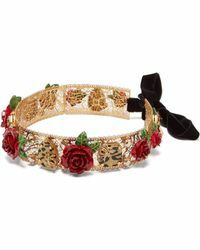 Italian fashion house Dolce and Gabbana are synonymous with modern luxury and feature feminine clothing and accessories collections that are adored the world over. 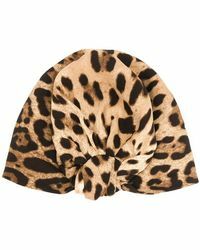 Famed for its trademark animal prints, the Italian brand has gathered a cult celebrity following at speed. 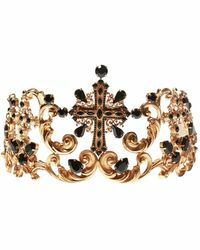 Founders Domenico Dolce and Stefano Gabbana have designed pieces for some of the best-dressed people in the world, such as the Beckhams, Madonna and Sophia Loren. 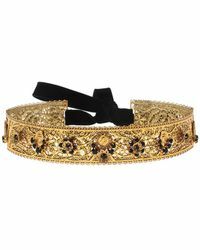 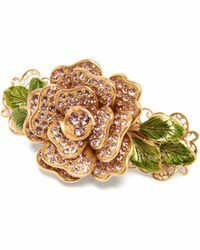 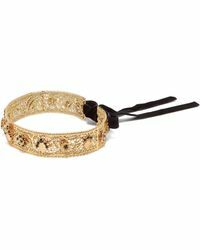 Dolce and Gabbana hair accessories are a wise investment for the season ahead with embellished designs for all occasions. 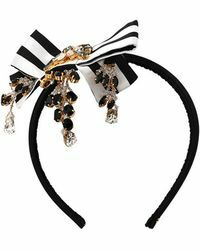 Expect pretty yet practical headbands and slides adorned in luxurious fabrics such as velvet and Swarovski crystal embellishments. 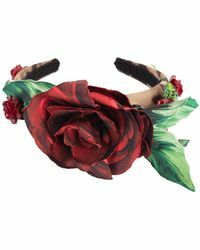 Explore this edit of Dolce and Gabbana hair accessories today.